Outer Space due for release on September 22nd, containing The Glitterball, Supersonic Saucer and Kadoyng. Three intergalactic adventures from the archives of the Children's Film Foundation land on DVD for the very first time. In the award-winning The Glitterball (1977) two teenage boys try to help a tiny spherical alien get back to its mothership, while the army and a devious petty crook pursue the creature for its wonderful powers. In Kadoyng (1972) it looks as if nothing can stop the village of Byway being demolished to make way for the new motorway - until a mysterious visitor accidentally arrives from Outer Space. In Supersonic Saucer (1956) a baby supersonic saucer inadvertently arrives from Venus. Adopted by a group of children, it causes many misunderstandings but prevents a robbery from their school. ...The key thing here is the good-natured inventiveness of the enterprise. It's wholesome and resourceful, the filmic equivalent of a Blue Peter empty-toilet-roll-and-sticky-back-plastic model. Where the stirring final scenes of E.T. are set in a misty, flashlight-illuminated Californian forest, The Glitterball's climax takes place in the biscuit aisle of a Hertfordshire supermarket. For this alone, it deserves a pat on the back. 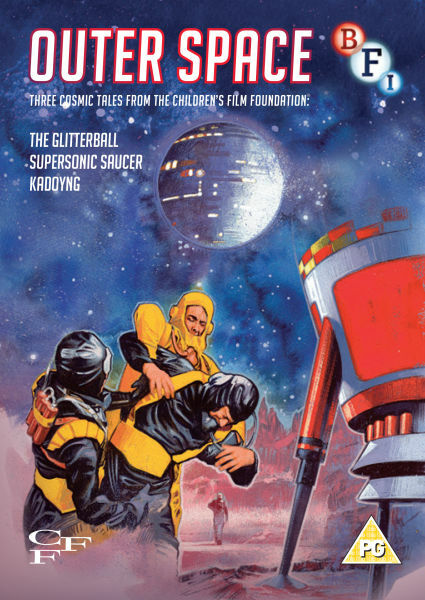 A blast from the past for nostalgia fans and something different for their kids; the sixth DVD volume from The Children’s Film Foundation Collection contains three of the CFF’s finest science fiction adventures: Supersonic Saucer (1956), Kadoyng (1972) and the oft-requested classic The Glitterball (1977). Outer Space is released on 22 September 2014 as part of the BFI’s Sci-Fi: Days of Fear and Wonder, a nationwide celebration of Sci-Fi film and TV. Supersonic Saucer tells the heart-warming story of Meba, an adorable baby flying saucer from Venus with otherworldly powers who arrives on an exploratory mission to Earth. Adopted by a group of children, he helps the youngsters prevent a robbery at their school. In the delightful Kadoyng it looks as if nothing can stop the village of Byway being demolished to make way for a new motorway. Until, that is, a jovial visitor with an unusual appendage descends from the planet Stoikal and helps a trio of children foil the construction work. This enjoyable escapade stars stalwart comic actor Bill Owen (Last of the Summer Wine). The award-winning The Glitterball sees two young boys come to the aid of a tiny spherical alien who is trying to return to its mothership while being pursued by both the Air Force and a devious petty crook. This perennial CFF favourite stars veteran British character actor Ron Pember. For over 30 years the Children's Film Foundation produced quality entertainment for young audiences, employing the cream of British filmmaking talent. Newly transferred from the best available elements held in the BFI National Archive, these much-loved and fondly remembered films finally return to the screen after many years out of distribution in specially curated DVD releases from the BFI. Mondo Digital on Outer Space. For over 30 years, the Children's Film Foundation produced quality entertainment for young audiences, employing the cream of British filmmaking talent. Released for the first time on DVD is Masters of Venus, an out of this world science fiction serial by Ernest Morris (The Vise, Richard the Lionheart). Starring Norman Wooland (The Guns of Navarone, Hamlet) and Mandy Harper (Four Winds Island), Masters of Venus tells the story of a spaceship from Earth which lands on the planet Venus where the crew meet a race of beings that they suspect are descended from the lost city of Atlantis. For over 30 years the Children’s Film Foundation produced quality entertainment for young audiences, employing the cream of British filmmaking talent and many young cast members that are household names today. Newly transferred from the best available elements held at the BFI National Archive, the next release in the BFI’s on-going DVD series is Masters of Venus, an out-of-this-world eight-part Sci-Fi serial by Ernest Morris (The Vise, Richard the Lionheart). Masters of Venus makes its debut on DVD on 18 July 2016 accompanied by a new essay by BFI curator Vic Pratt. As the rocket ship Astarte is being prepared for its inaugural trip to Venus, a mysterious pair of saboteurs appear hell-bent on thwarting its mission. Pat (Amanda Coxell, Four Winds Island) and Jim (Robin Stewart, Bless This House), the children of the Astarte’s designer, Dr Ballantyne (Norman Wooland, The Guns of Navarone), stumble upon this plot and accidently find themselves launched into space with the ship’s two-man crew. For over 30 years The Children’s Film Foundation produced quality entertainment for young audiences, employing the cream of British filmmaking talent. Unavailable for years, these fondly–remembered films make a welcome return in newly remastered editions. This DVD box set contains nine newly unearthed gems: Peril for the Guy, Cup Fever, Mr Horatio Knibbles, Anoop and the Elephant, The Zoo Robbery, The Battle of Billy’s Pond, One Hour to Zero, 4D Special Agents and finally Pop Pirates which stars rock legend Roger Daltrey! I've recently become an uncle. I'm interested in these sets for my own cinephilic purposes, but would any of them potentially grab the interest of a young child today? He's only one year old at this time, but in a few years, he'll be watching cartoons and swiping his smartphone, so I'm keen to provide some form of enjoyable imaginative stimuli. I can't help particularly with the Children's Film Foundation films, but my son enjoyed Night Mail when we showed it to him when he was aged about two and a half to three years. As a result, we also got him quite a few of the British Transport Films sets. He watched these frequently until he was about eight or nine. He also liked the Lotte Reiniger Fairy Tale films set. These discs started coming out right around the birth of my daughter. She's five now, and my son, seven, and I, coincidentally enough, was about to start showing the CFF discs from the first volume on this coming week. They have a pretty good repertoire of films under their belt already, and are far more patient than I ever was at their age, so I’ll try to post their reactions to each once we go through them. Also, as soon as the weather gets cooler, I'm going to show them The Dog Who Stopped the War and The Peanut Butter Solution, not in any way related to the CFF, but a couple of classic Canadian films from my youth. As an American, I'm totally unfamiliar with the CFF and the films released in this DVD series, with one notable exception. I have fond memories of watching Mr. Horatio Knibbles around Easter time on the Disney channel in the early 90s. Not remembering the title, I finally stumbled upon it on YouTube a year or so back. 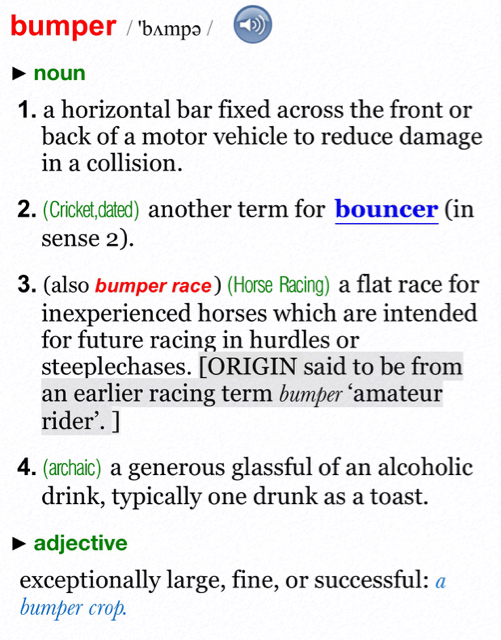 It's still pretty charming, perhaps because everyone plays it so straight. The rabbit costume is terrifying to me now, but as a kid I accepted it as perfectly natural. A wizard weekend for all the family is guaranteed with this carefully curated assortment of tasty cinematic treats from the Children’s Film Foundation: Britain’s best-loved and longest-running producer of quality cinema entertainment for kids of all ages. 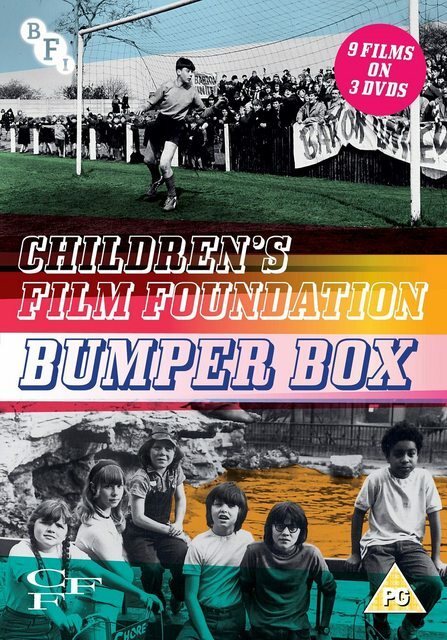 In this Bumper Box, released on 22 October 2018, the BFI brings together nine fantastic films on 3 discs with special features including a brand new documentary about the CFF. And that’s just the films – there are extras and an illustrated booklet too. Do your film-history revision fun-style with a new interview with veteran CFF writer John Tully (16 mins) and The Children’s Film Foundation Story (84 mins) – a fabulous new feature-length documentary telling the true tale of the Foundation and the talents who worked there. There are interviews with CFF luminaries including John Krish, Harley Cokeliss and a cast of thousands! Last, but not least, there are three 1950s canine crackers from the CFF vaults, Rover Makes Good, Juno Helps and To the Rescue. 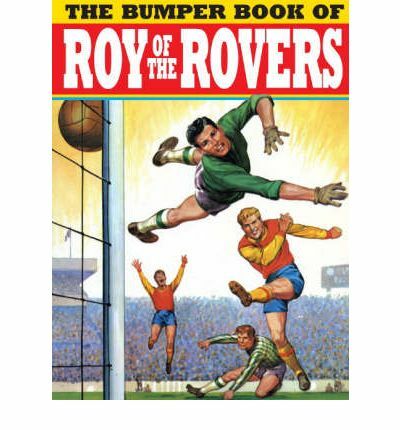 Bumper is a word commonly used on children's books and comics in Britain (more so in the 20th Century, but still in use today) to signify that they were bigger than usual. I think they're using it here slightly ironically to make it sound like a children's comic annual from the Sixties or Seventies.